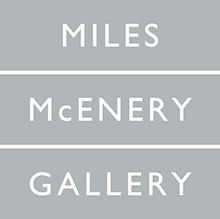 James Kalm visits the exhibition Franklin Evans: paintingassupermodel at Ameringer | McEnery | Yohe, New York, on view through 1 August 2014. Kalm notes: "Franklin Evans has been receiving much critical attention for his blurring of painting, the studio and installation. 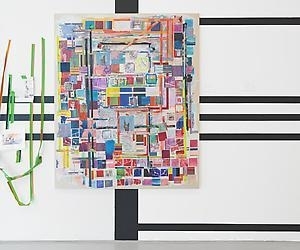 Using the rubbish of his studio practice, particularly used masking tape and paint stained cloths, the artist fills the gallery top to bottom with colorful remnants, wall paintings and enlarged photos from previous installations, thereby presenting these projects as accumulations not only of materials, but also of memories.